Winchester, Ind. 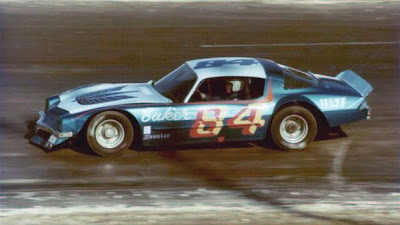 (October 1, 1974) – Bob Senneker of Grand Rapids, Mich., driving a ‘73 Camaro, won the fifth annual DRI-POWR 400 here Sunday afternoon, after gaining the lead of lap 299 of the 400-lap event on the high banked paved half-mile oval. Senneker picked up $6,120 for his efforts in the American Speed Association race that offered a $28,500 purse for the 40 competitors. 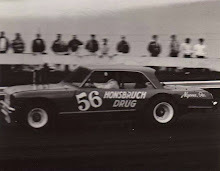 When the green flag fell, Vern Schrock of Middlebury, Ind., jumped into the lead in his '’73 Camaro trailed by Don Gregory and Senneker. The race ran smooth until lap 33 when Bobby Allison of Hueytown, Ala., blew a tire going into turn two causing him to hit the outside guard rail. Allison’s ‘71 Camaro was tagged by another car leaving him facing in oncoming traffic. Several cars spun to avoid Allison but Dave Sorg had no place to go and crashed his ‘74 Chevelle head-on into Allison. Sorg was taken to Ball Memorial Hospital and was treated for a cut over his eye. The wreck took out several favorites including Allison and two-time DRI-POWR winner Sorg. 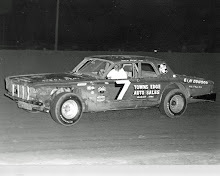 Others unable to continue after the melee were the 1971 winner Dennis Miles of Muncie and Terry Bivens of Shawnee, Kan. Tom Reffner of Rudolph, Wis., was also out with the right side of his ‘70 Mustang destroyed. The race was red-flagged at this point to make repairs on the guardrail, which took 50 minutes, and then the field was once again running with Schrock still in command followed by Tom Maier, Senneker, and Larry Moore. On lap 53 Moore and Anderson’s Ray Fullen collided coming out of turn two ending Moore’s hopes for the day as his ‘73 Camaro was out of action leaving fourth spot to Don Gregory who would eventually drop out on lap 175 with mechanical ills. Maier pushed his Camaro in front on lap 72 and was building up a lead when the yellow appeared on lap 153 to pick up some metal on the track allowing Maier to make a needed pit stop. This gave Schrock the lead once again which he held until lap 170 when Rodney Combs hit the guard rail in turn four bringing out the yellow once again. Schrock darted into the pits leaving Maier in control. On lap 203 Schrock passed Maier once again getting the top spot hack giving the 6,500 fans some real racing. On lap 254 Lennie Waldo lost control of his ‘68 Camaro coming off of turn two, hitting the inside grass and flipping over on his top. Waldo, a one-time USAC sprint competitor, scampered out of the car un-injured. During this caution period Maier pitted as did Joe Ruttman and Senneker. The green waved on lap 260 with Schrock first, Senneker second and Maier running third. Schrock pitted again on lap 288 with a sour running machine and Senneker gained the lead for the first time in the race. On lap 320 Senneker got by Maier gaining, a full lap on second place and appeared to be running smoothly. On lap 344 Larry Phillips made his move on Maier gaining second place to set up the finish of the grueling 200-mile chase. The last yellow appeared on lap384 when Randy Sweet spun, allowing the cars to hunch up for the last nine laps. 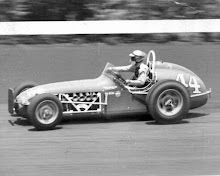 Nobody changed positions during the final laps, and Senneker became the first out-of-state driver to win the DRI-POWR 400. 1. Bob Senneker, Grand Rapids, Mich.
2. 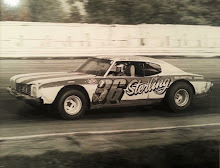 Larry Phillips, Springfield, Mo. 3. Tom Maier, Midland, Mich.
5. Vern Schrock, Middlebury, Ind. 9. Randy Sweet, Portage, Mich.
10. Bob Coffey, Indianapolis, Ind. 11. Mike Eddy, Kawkawlin, Mich.
12. Gene Christie, Gaston, Ind. 13. Warren Howard, Fort Wayne, Ind. 14. Kenny Simpson, Bedford, Ind. 17. Shorty Hinshaw, Moreland, Ind. 19. Roland Van Arsdale, Indianapolis, Ind. 20. Jody Ridley, Chatsworth, Ga.
21. John Anderson, Detroit, Mich.
22. Ray Fullen, Anderson, Ind. 25. Doug Hanna, Goshen, Ind. 27. Paul Weisner, Muskegon, Mich.
28. Frank Demske, South Bend, Ind. 30. Don Higgins, New Castle, Ind. 32. 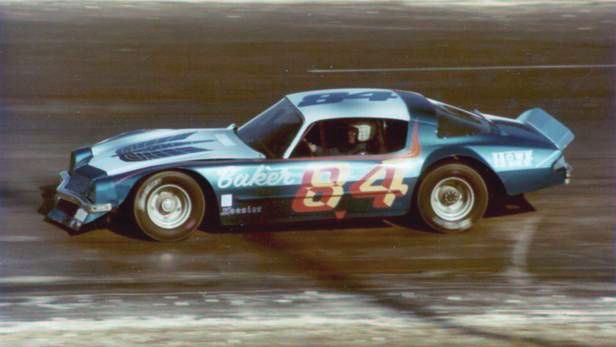 Bobby Taylor, Elkhart, Ind. 33. LaMarr Marshall, Louisville, Ky.
34. Dave Dayton, Indianapolis, Ind. 35. 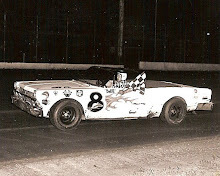 Bobby Allison, Hueytown, Ala.
36. Tom Reffner, Rudolph, Wis.
37. Dave Sorg, Fort Wayne, Ind. 38. Dennis Miles, Muncie, Ind. 39. Terry Bivens, Shawnee, Kan.
40. Jim Hurtubise, Indianapolis, Ind. That picture of Jim O'Connor at the top of the page? What track was that picture taken?